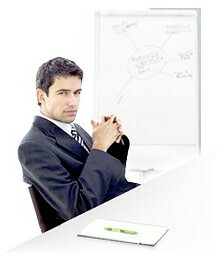 Our company specializes in creating high quality software according to customer requirements and current market needs. We have big experience in database application development and data information systems that integrate existing software solutions. Our software solutions are easy in use, stable, do not require special training and at the same time provides secure and scalable architecture for you company. We use newest available technology for creating back office and internet application. We can help you select and implement best software solution that automate business processes, integrate systems, reduce costs and improve communication inside your organization and information sharing among customers . We offer IT outsourcing and offshore outsourcing with offshore development center in Wroclaw in Poland. We offer specific software development services for the European market since 2004. Wroclaw offer unique opportunity of low cost developers from one of the best Technical Universities in Poland with more then 1.000 IT engineers graduating each year. Warehouse management software djusted to particular demands of the customer. Production management software developed according to your factory specification. Web based e-commerce applications. Without installation and configuration, in any place in the Earth where you have access to Internet you can use our dedicated online CRM systems. Web 2.0 websites development, database solutions in WWW, search engines. Low cost remote programming and offshore programming services to overseas partners. Fill the form "Dedicated Software Solutions" - you will get the price offer within 24 hours.